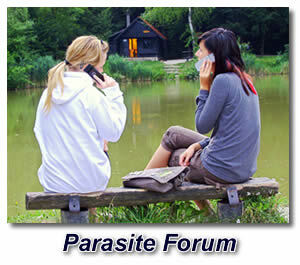 Although we don't have a "traditional" parasite forum, we certainly have become a place where many people are gathering and talking about parasite concerns. You'll find parasite discussions all across this website, so use the search feature in the upper right column to find and join the discussion that most closely meets your needs and situation. Someday, if the demand continues, we may add a dedicated parasite forum in the traditional sense which may be easier for visitors to navigate. Until then, please feel free to ask your questions, share your experiences, and encourage each other on the main body of the site using the comment links and submission forms. This particular page of our parasite forum is about the 6th page in an ongoing discussion about parasites that look like hair. It was started back in 2009 and has received so many comments since then that the page became a burden on the web to load the large amount of content. We've broken the page down into more manageable segments. You can go back to the first page and begin there, or jump right into the flow here, as you wish. I need to have a T-Shirt made that says, "I SURVIVED THE SAN DIEGO DERMATOLOGIST's CONSPIRACY OF HALLOWEEN WEEKEND 2011...BOO! Yep, they set me up to end up at the famous SCRIPPS CLINIC just so that could try to GET ME COMMITTED!! I am glad to see that entries are finally more logical and looking for an end to this crap. I had not read that far down until just now; I was going to suggest a web and Facebook page (where I think they will translate for those of you who struggle with or do not speak/write in English like the majority; it's a centuries old Britain/U.S. snobbery thing thinking everyone would want to be like us...sorry!). Apparently I went thru a brief time when my just-over-the-norm kidney test 'numbers' more than doubled, giving several parasites a chance to take over. If you have this and haven't had yours or your loved ones kidneys checked, I suggest you TRY to get a doctor to order the 2 main tests. I quickly went from scabies + an opportunistic beetle-ey-looking thing breeding in the sores (which I now understand much more, of course) with dozens on my bed after Elimite, to the 'dancing hair' shocker, to seeing that both beetles AND wormy things were growing on me under fairly inconspicuous patches of white skin. Before I present my plan, I have two questions about what others have seen; I think one may be the real key here, but I didn't see a mention. I found two of the tiny beetles with a TRIANGULAR, FLESH-TONED, WAXY SUBSTANCE ON THEIR BACKS; I believe this is necessary to create the 'hairs'. The 'wax' is bigger than the bugs, so they can barely wiggle & cannot crawl with it. THIS STUFF LOOKS LIKE FOOD CRUMBS OR 'NORMAL' BODILY 'STUFF' AND IS VERY EASY TO MISS. I now have found three more pieces with no beetle and find a triangular scab near the others where I believe it is made. Also, has anyone other than me SEEN A 'HAIR' WHEN IT SEEMS TO BE 'BITING'? I have so much time on my hands... I finally did 2 days ago; I had seen the white spots, but got sick over what I learned. One of my sets of 2-3 white spots was interrupted during 'eruption. We ARE dealing with 'worms' from what I could tell, because there was a dead 'thing' about 1/2" long AND a dead beetle; I only have a little magnifier (but great near vision), but I'm pretty sure when I squished one end of the thing tan 'crud' came out, and on the other end, it's bloody stuff came out. Then I caught the hair in the 'ACT'. We are 'breeding' some beetles under the skin in advance probably assisted by some other parasite like my scabies. Then, somehow a surprisingly 'intelligent', clear THING begins to replace our hair, looking like a white hair with a little circle at the end. It can live for quite a while even if removed from host, and is covered with thicker spots that release some kind of ova. Some of the releases look like white 'fluffy' dust, some are tiny little 'sticks'; these land on our skin, apparently get just under the surface, and wait to be fertilized. They tend to be in groups of 2 or 3. IT IS TOO SOPHISTICATED! I've lost over 30 pounds (13 to 14 kilograms?) in 6 weeks, and the docs only consider that I'm delusional! Can YOU GET 2 TEENS TO LIE FOR YOU? (After all, they know everything, right?) Every member of my household & a teenage friend have seen my hair suddenly go into a wild dance, but it's imaginary? What do we do? We UNITE WORLDWIDE AND OVERWHELM enough 'pros' at once that at least one won't ignore us! some beetles if you can find them, and don't forget to look for the larger version I believe they become when rid of their burdens; ALL THE WAXY, FLESH-COLORED TRIANGLES YOU CAN FIND...they fall apart once off the beetle (leave them on if you get THAT lucky), but that's fine; what's under the white spots -- careful, it was 'digging' things like that which almost sent me to the looney-bin -- and try to get samples at different stages. COLLECT continued: Save, but set aside for now, the other miseries if you went thru all Moregellon steps... cottony wads, MULTI-THREAD ejections (so weird! ), etc. WE WANT TO OVERWHELM THEIR INTELLECT & INTEREST, NOT THEIR WORKLOAD so we'll use these once we know who 'bites'...and we have less of these if we've only suffered a short while, like me. HOW TO COLLECT: I'm sure you've all kept samples; but let me share with you the 'easy-catch' way I've discovered. KEEP 'SCOTCH-style' TAPE WITH YOU AT ALL TIMES! 3M/Scotch is an American company, but we've come to call all sticky tape similar to theirs 'Scotch Tape', like we call all tissues 'Kleenex' and all feminine pads 'Kotex'. The tape you need is the type used to wrap gifts, it is sheer or translucent. WHENEVER YOU FEEL ANYTHING HAPPENING ON YOUR SKIN, GRAB A READIED STRIP OF TAPE AND PUT IT ON THE AREA, THEN RUB IT ALL AROUND. This will pick up beetles, biting hairs, etc. with no effort. IF WE ALL HAVE SAMPLES INSIDE FOLDED OVER TAPE, THE CONSISTENCY ITSELF, COMING FROM GUATEMALA TO RUSSIA WILL ATTRACT ATTENTION! SEAL THEM TIGHTLY INSIDE THE TAPE; we don't want anyone concerned we are sending something intentionally harmful (that's why sheer tape is best, too). PRESENTING OUR CASES: Let's gather at least 6 - 10 target scientists or medical school professors to plead that they help us. Write a letter, in your spoken language, universities have translators. You can feel free to ask me for help if you don't write a lot (I do, HAH!). And I'll post mine. BACK TO BUSINESS: WE MUST FIND THE TOP PEOPLE, though a grad student might be more interested if you know any. SO EACH OF YOU OUTSIDE THE U.S.WHO CAN SEARCH FOR A UNIVERSITY THAT HAS THE MOST PRESTIGIOUS ENTYMOLOGY or EPIDEMIOLOGY or related departments, and preferably a medical school. I think we need one from EUROPE north -- GERMANY and SWEDEN are best known for scientific research as far as I know), one in ENGLAND, one in JAPAN and maybe CHINA, and one in Russia/Latvia, etc. We here in the U.S. need one U of Cali school or Stanford or Salk Institute (I'll look for that), one eastern, maybe Ivy League or Johns Hopkins (my hubby's nephew is an anesthesiology resident there...I wish I knew him better, darn it), and one middle or south (my deceased sister's hubby works at U. Texas/Houston Med School...I barely know him either). AND PROVIDE ANY GOVERNMENT GROUPS AND WE'LL DECIDE TOGETHER IF WE WANT TO LUMP THEM IN NOW OR NOT. Post the names of research facilities/schools and the department head & department, address, etc. back here AND, HOPEFULLY, ON THE WEB SITE AND FACEBOOK PAGE SOME TECHY MAKES...ASAP. Make suggestions on what to include, how to package it, etc., AND WE WILL SET A DATE (EARLY DECEMBER? -- western schools close for holidays soon after that) THAT WE CAN ALL TRY TO HAVE OUR PACKAGES ARRIVE AT EACH LOCATION. ANY TAKERS? I'LL DO WHATEVER IT TAKES TO GO BACK TO NORMAL! And then I'm going after those who tried to commit me, though I did consider playing along and hope my hair started dancing in some group therapy session! LAST, BUT NOT LEAST, LET'S PRETEND WE'VE NEVER HEARD THE NAME 'MORGELLONS', OR WE'LL BE SHUT DOWN BEFORE WE BEGIN. WE'LL EASE INTO THAT. Maybe the myth of Medusa actually CAME from this, though I feel it's an evolutionary novelty. My hubby is sure it's the hair replacement industry that let a bad experiment get away. I wouldn't be surprised if a cosmetic company is involved...I have lost all but regrown a gazillion eyelashes that never stop getting longer! That's better than thinking it is a BIOLOGICAL WEAPON or something, right? ATTN: FBI OR CIA -- YOUR SCREENING SHOULD HAVE PICKED THAT UP as well as my 'target' professors comment. I HOPE SO AND THAT YOU DECIDE THIS REALLY COULD BE A SITUATION WORTH A FEW BILLION OF DOLLARS IN RESEARCH MONEY! P.S. A cure! SOMEONE POSTED A CURE. I happen to have a Prednisone 6-day 'Dosepak' for pain emergencies. Is that what you used, or was a longer time required? And could I get the name and address of the dermatologist who prescribed the other to give to my rheumatologist, who I trust? I don't even care if she/he is in the U.S.; I'll figure something out. Hope! How did you find someone who listened, lucky? Did she/he know of research we haven't found yet? PLEASE INFORM US WITH ALL YOU KNOW! I'M SORRY I DIDN'T INCLUDE IT IN MY 'MANIFESTO', MY PLAN. IT'S JUST FOR THIS PURPOSE, SO FEEL FREE TO WRITE & LET OFF STEAM (Depressed, esp. you) OR WHATEVER. This is what urgent care started me out with. Then 2 of the docs who later conspired to have me committed also gave me a round; I was told later it was 'to appease me'. I have fewer of the scabies symptoms...they get smaller and weaker, I think, but it did nothing for my (what I'm calling) 'Medusa Hair'. I hate to tell you, but the shiny things all over your body are part of the early and middle phases of Morgellons; that doesn't mean they go away after that, of course. These are BEFORE you get to the Medusa hair; keep an eye on your lower hair if you are bald. My husband had the bright idea to stick me in the spa one night to 'scald' the little bastards; he finally took time then to repair the darn thing. He had not really believed that I was as bad off as I said, since he (250 lbs of football tackle who rides a street bicycle 40-60 miles at a time at age 61) was not sick. He hasn't questioned me since. Well, I left behind a thick sheen of oily crap, bugs, a dozen different kinds of white, fluffy things, scabs, AND little silver 'stick' hairs, and more. It looked disgusting, and I'm sure it has been drained. I need it for pain but he hasn't heated it up since; I'm not surprised. I hope you are lucky enough to be done with this; if so, maybe you have better functioning kidneys and/or a stronger immune system than some of us. Are you getting little cotton puffs on any remaining sores? I started experiencing this in 1995. Went to dermatologist and was misdiagnosed with Uticaria. She was wrong regarding not passing it on. It started with itchy feet because i love to go barefoot. I also had a bird that died? After getting itchy feet it transferred to my head. I would get these scabs on my head that would bleed. It wasn't until 2000 that i noticed my hair start to come alive. At first I thought some bug was crawling on my head, but there was nothing there. I had stomach problems, bloating, pain, acid reflux, allergies, difficulty breathing at night. It wasn't until 2002 that I felt like sand was in my bed. Now I see black specs in the bathroom on the ceiling and everywhere in the bathroom. I also see balls of lint and i have had the sores all over my body. They scar you. One time I felt biting and saw a moving ball of lint on me, but thought it couldn't possibly be the lint. I was wrong. I am also experiencing wretched breath that lingers in a room all day. For me what helps is baths in 20 mule team borax (2 cups). Garlic pills, sea salt soap helps with the itching. What also really helps me if I am itching is simply to put a plastic cap on my head. They seem to be concentrated on my head so they can't fly around unless I let them. I have also put baby oil on my head outdoors and tie my hair back. I use head and shoulders with Zinc. 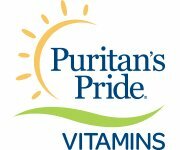 Fish oil, 1/4 tsp of sea salt am/pm, multi-vitamin, restricted diet of organic veggies and fruits. My first borax bath I saw some nasty stuff like what I have read here. I advise you to get some sun because they hate that during the day bring all the sun in the house. Vaccuum every day. Use purified water, tea tree oil and lemon juice to spray the house.Get rid of carpeting if you can and cut your hair as short as you can. Wash your clothes with 2 cups of borax every load plus your reg detergent. They are not gone yet, but they don't drive me crazy anymore. The worst part is not being able to burp hardly and that creates difficulty breathing. I also use Desitin baby ointment 20% Zinc on my entire body and for the first time slept 9 hours in years. The government is going to have to come clean very soon because we are on the brink of a world wide pandemic. There used to be only 1500 people who had it when it first came out Morgellens.com, but now I saw another website that said the figures are more like almost 500,000 people who have this and the fig is prob much higher. Think about it, you can pass it along to someone if you live in an apt and they use the same washing machine because heat doesn't kill it. If someone drives in your car, steps on your carpet, sits on your chair at work, uses your cubicle they can become infected. One of my sons has it but is in denial. His 3 friends have similar symptoms, but young kids don't take these things seriously. How many will they pass along to? If the government doesn't step up & educate soon a huge percentage of the population will get it. It's probably because the government wants us to continue to be outdoors purchasing goods to keep the economy going. Who knows who started it. I'm guessing Monsanto with the way they mess with DNA of the foods to make them pest resistant. GMO foods are really bad and almost all cotton is GMO now. I appreciate that Mike. I sure wish I could do more for you all, but many of you have gotten out of my depth of knowledge. 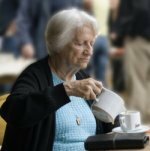 However, apart from my nutritional and supplement suggestions, I'm happy to provide a gathering place for you all to discuss your concerns, share your experiences, and let out your frustrations. I do have to occasionally remove posts that are offensive or copyrighted (pasted from elsewhere online), but for the most part I can simply provide you with this meeting place. You are all in my thoughts and prayers regularly. I would definitely see a doctor, these symptoms don't sound like anything to do with morgellons; I think you should see a doctor or at least google your symptoms of stool warning signs to see if you can find a match to what you are describing. This is just my opinion of your post for what it's worth. First, Angie, we may not mention it, but we ARE trying your suggestions and listening to your advice; I've learned a lot. This just isn't something we can talk about to 'outsiders'; so THANKS from me, too. I've been too tired to do any 'computering' lately; and I'd already shown my writing gets crazier as I get tired. Do you know what color(s) your first short, thick worms were? These are the SUPERWORMS as opposed to the head 'hair', body 'hair', and squirmy, white, long, thin worms in the stool)? I will need to tell more of the origin story later; I'm off to the E.R. I have been keeping my hair, very necessary for the disease's success, covered and slowed down the number of problems on my trunk, arms and legs by 80%. But it finds a way! Has anyone else has several layers of larva (I guess) stacked in one small space? Now that it can't reach elsewhere, it got busy working ON MY FACE! My granddaughter said, "OOH, that looks like a maggot coming out of your nose!" I went to my magnifying mirror and an oval, gooey thing was coming from the skin on the tip of my nose, not from inside! I HAVE A PLACE ON MY CHEEK, TOO CLOSE TO MY EYE, AND ON THE TIP OF MY NOSE THAT ARE LAYER UPON LAYER OF GOO, presumably LARVA OF WORMS & BEETLES!! I scraped up a section and could already see the curved shape of more 'wormy' ones below...twice at least! And at least a dozen other places on my face have a little clear 'head' sticking out!! OMG!! This IS going to kill me! One piece of goo was coming out of an outer eyelash follicle! I'm going to the hospital and if they can't see this OBVIOUS horror, they had better lock me up because I can't take what this has evolved to one more night! I'm shaking and queasy. I swear it/they are punishing me for covering my hair. OMG, OMG! Somebody has to help me! I have to agree with Mike about checking with the doctor if you continue to have black stools. This can be a sign of internal bleeding, which is not something to be overlooked or ignored. There are, of course, other reasons you might have black stools for a short time. One would be the result of eating certain foods, taking iron supplements, using Pepto-bismol, etc. So, if you can rule out the temporary causes of black feces, and you continue to pass black waste, have it checked out. It also sounds to me like you are passing parasites. It may be that you DO have multiple parasites, but it could also be that you are saying the same type of parasite in different stages. I hope you have tried an extensive herbal cleanse to help rid them from your digestive tract. That should help kill them off and eliminate them from your body internally. My heart just aches for you and all that you are going through both physically and emotionally. I hope that now that you have obvious evidence on your face that you will get a better reception at the hospital and some genuine help. I feel for everyone going through the mysterious itching. I too suffer with this and have done so for over four years now. I have also seen the small fibers and wondered if these could be the cause. I have always wrote it off as just some sort of dust from the registers in my home. The part that is really bad is sometimes when I am around people they will start having the symptoms usually starting with itching their eyebrows if I get within a couple of feet of them. On some days the itching sensation is worse those are the days if people are within several feet of me they will begin itching. I have tried everything from pesticides to home remedies with no avail. At this point I just continue sweeping every inch of the house every day and randomly try various treatments I have had no luck yet. Like I said some days are better than others. Hoping to find an answer so I don't have to see people scratching and rubbing their eyebrows when I walk near them. I too have the crawling itching feeling on my head at times in my nether regions front and back and at times on my legs and arms. Any ideas? 1. Do you have pets? If so, have treated them, too, to be sure they are not re-infesting your home or yourself? 2. Have you tried steam cleaning the house? How about the Cedarcide spray? The problem may not even be in your environment, but if you're not sure, those are too good options. Now, let me share a personal story which some of you may find funny, but hopefully useful! I started getting a serious case of mysterious itching myself in early October. It began on my back and was extremely annoying. There were little bumps developing (like pimples) that itched like crazy. My first thought was that I was having an allergic reaction to something because I had just finished a big painting project. I began taking probiotics and using some organic apple cider vinegar in water, and tea tree oil cream on the area, etc. No improvement. I then discovered that another lady in our church had the same thing and after seeing the doctor used a permethrin cream (like used for scabies treatment) although they said it wasn't scabies. Her case cleared up and mine continued to spread to my arms, my stomach, my chest, and my legs. This went on for weeks. I eventually broke down and tried the permethrin cream myself out of sheer desperation. No improvement! I finally said to myself, "You crazy woman! If someone wrote in to the website and described this condition, you'd tell them to take the Herbal Fiberblend and boost their immune system. Take your own advice!" I keep Herbal Fiberblend on hand all the time, so it's not like I didn't have any available. Sheesh! So I started taking the HFB twice per day and within days I could tell that my itching was greatly reduced and my little sores were clearing up. I felt like smacking myself! Why had I suffered for several weeks needlessly? It's been almost 2 weeks now since I started with the HFB, and I'm happy to report that I'm almost completely recovered. ...although I'm convinced that the Herbal Fiberblend is what tipped me over the edge by cleaning out of my system whatever it was that was causing the mysterious itching - whether allergen, mite, parasite, whatever (I still don't know). Knowing what to do and actually doing it are two different things in my case. I hope that my story will encourage you to go ahead and try a good cleanse with Herbal Fiberblend. What have you got to lose? I've had this problem since the late nineties. It almost drove me crazy the first few years trying to beat it!!! I gave up and learned to live with it. Sounds like some people have had worse symptoms than me. I called them the fuzzies because it seemed like something fuzzy was making the nose itchy and something trying to crawl up the nose. And then feeling like something was pulling my hair and crawling around the hairs on my head, invisible things crawling in almost every hair on my body. I could see tiny hair-like things in the air in very bright lights or when the sun was shining through the windows. I tried declaring war on the problem- nothing worked somethings I tried even made it worse, bug bombs in the house, chlorine in the wash, did that because went swimming in a pool one time and after the swim the problem seemed to disappear for a while. Tried all kinds of lotions, soaps etc. Even A-200,lice soaps- made it actually worse.The reason I happened to look at this site is because lately the problem seems to be getting worse again, Ive been under some stress, that seems to make them act up more, and like Mike in Chicago mine seem to get more active when I lay down at night- scalp starts feeling like worms are crawling around in my hair. And then the other day was taking a nap and all of a sudden on the back of my neck what felt like much larger worms were crawling around the back of my neck. I'm going to try what Angie recommended, worth a try, thank you for sharing what I should take to try and get rid of these little pests. Go back to page 1, page 2, page 3, page 4, or page 5, or go on to the next page in the parasite forum discussion. Have A Parasite Question or Comment? If you have a parasite related question, feel free to ask it here. ***Please note: Give as much detail as possible in your submission. Saying, "There's a black bug in my skin. What is it?" is not good enough. How could anyone possibly answer that? :) Questions like that will be deleted. If you want a reply, DON'T FORGET to leave your email address in the place provided on the next page (after you hit Submit) for notification when answers/comments are made. Please don't post your email address in the box with your question - that encourages spam to you. Be as descriptive as you can and also mention what you have already tried so we'll know what other options might be worth suggesting. Keep in mind that we are NOT doctors and can't diagnose you, but we'll do our best to help you find answers and make suggestions of natural remedies you may want to try. 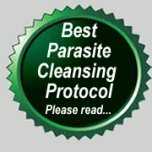 Have you had any experiences with battling parasites that you'd like to share? Maybe you have a tried and true remedy that you'd like to tell us about. We'd love to hear from you, too.